The new trip brings VBT’s Italian portfolio to 12, providing even more opportunities for active travel seekers to discover this culturally rich destination. Known as “The Italy Experts,” VBT immerses travelers into day-to-day Italian life with home-hosted experiences, exclusive tours conducted by local Italian guides and authentic Italian accommodations. The new “La Bella Toscana” trip highlights Pisa and Lucca, as well as other off-the-beaten path destinations such as Montecatini and Vicopisano. Notable discovery highlights of this tour include a visit to the Leonardo da Vinci museum in the artist’s hometown to learn about his innovative inventions, a wine tasting at Fattoria del Teso winery and meeting members of the Ginori Lisci family for an authentic Italian lunch in the colorful gardens at the Ginori villa. “La Bella Toscana: Lucca, Montecatini and Pisa” is a 10-day trip, starting at $3,895 per person including international airfare. The first departure is April 19, 2015. Each Italian tour is carefully designed to bring travelers closer to true Italian life. On “Puglia: Italy’s Undiscovered Coast,” travelers visit Il Frantoio, a family-run masseria located on sprawling 150-acre estate, for lunch. The meal includes fresh food grown or produced on site, including citrus fruits, cheese and five different olive oils to sample. The “Tuscan Coast” vacation features a visit with Chicca Maione, the founder of Cooking in Tuscany, at her Tuscan countryside house, where guests participate in a hands-on cooking demonstration of authentic dishes before eating a home-hosted dinner under the pergola. Other culinary activities include a visit to the Antica Dolceria Bonajuto chocolate factory on “Sicily: Biking the Southern Coastal Villages” to learn how to make chocolate using a 400-year-old Aztecan cocoa-processing technique. On the “Amalfi Coast and Capri” walking tour, travelers sample fresh cheese during a mozzarella-braiding class in Sorrento. On every vacation in Italy, VBT provides accommodations in masserie, boutique hotels or agristurismi in order to foster encounters with Italian locals and learn about their unique local accommodations. For example, guests stay at Fattoria Di Magliano, an ancient villa set in a secluded spot in the Maremma with terra cotta tiles, manicured gardens and an outdoor swimming pool on the “Tuscany by the Sea” vacation. After a day of cycling on the “Italy: Cycling The Dolomite Valleys” trip, travelers settle at Villa Quaranta where they visit with the Tommasi family to sample various vintages from the family-owned winery. VBT makes it easy to explore Italy with excellent experiences and the low prices make for an unsurpassed value in active travel. No other tour company includes so many features and advantages in prices such as international roundtrip airfare, complimentary use of custom bicycles or walking poles, most meals, two trip leaders and accommodations. Book any 2015 Italian VBT vacation by Oct. 15 and save $200 using booking code VBT1501. To learn more about VBT’s vast array of Italian cycling and walking vacations visit http://www.vbt.com/destinations/Italy/ or call VBT’s consultants at 800-245-3868 from Monday-Friday from 8:30 A.M. to 6:30 P.M. EST and on Saturday from 10 A.M. to 3 P.M.
VBT offers 50 deluxe, small group bicycling and walking tours in 26 different countries, including destinations throughout Europe, Costa Rica, New Zealand, Vietnam, Peru, South Africa, China and the United States. Each trip includes all accommodations, many meals, two expert local Trip Leaders, unique sightseeing and cultural activities and on-tour vehicle support. Unlike other companies, VBT also includes roundtrip international airfare from over 30 U.S. cities and select Canadian cities for all overseas vacations. In 2014, VBT was rated by the readers of Travel + Leisure among the “World’s Best Tour Operators” for the fifth consecutive year. http://www.vbt.com. 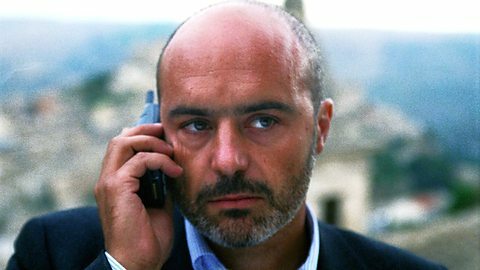 Sicily-based TV detective series moving to Puglia? Many film and TV fans enjoy visiting the places where their favorite shows take place. 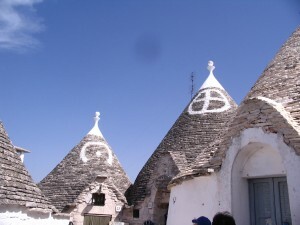 Could this be another potential boost for Puglia’s strengthening tourism industry? Born in Santeramo in Colle (Bari), Puglia, in 1964, Maestro Paradiso earned a Diploma in guitar performance with distinction in 1987. Beginning in the late 1980s and for well over a decade, he competed in various national and international guitar competitions, taking the Gold Medal at the Pergolesi Competition in Naples and the Palme d’Or at the International San Bartolomeo a Mare Competition. He has performed hundreds of concerts in Italy, France, England, Spain, Germany, Scotland, Hungary, Switzerland, Ireland, and the Americas, in prestigious halls and musical venues in cities such as Rome, Paris, London, Florence, Edinburgh, Venice, Budapest, Dublin, Linares, Padua, Ravello and many others. In the Americas, starting in 2012, his concert tours have taken him to Mexico, Argentina and the United States (New York and California). 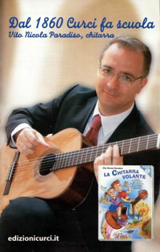 Maestro Paradiso’s specialty is the melodious repertoire of native Italian songs, for which he has created memorable solo guitar transcriptions. Puglia resort plans “bogged down in bureaucracy”? Here’s an interesting article from The Independent: Whose side are you on? “There are 14 ingredients,” Massimiliano Masolla declares about the stuffed mussels he serves at U’ Gnore, a fish market turned restaurant in Bari, capital of Puglia, a province on the heel of Italy’s boot. It’s a bold declaration to make: How could 14 ingredients all fit into the shell of a mussel? Read the entire article here. Here are more details about the new Puglia-focused itinerary that Tauck World Discovery is introducing for 2015. When an international travel company of the stature of Tauck enters a new destination, it is good news for several reasons. First, it is an endorsement of Puglia’s tourism product by a company that caters to upscale international travelers, based on the company’s selection of hotels, attractions and visitor experiences. Second, it helps to rank Puglia on par with other high-level destinations. Third, it invites other travel companies to take a look at Puglia and invest their resources in the region. Fourth, it broadens Puglia’s appeal among travelers who will take the time and make the investment in learning about the region’s culture and heritage, thus helping to preserve and foster them. If this new program succeeds, everybody wins. 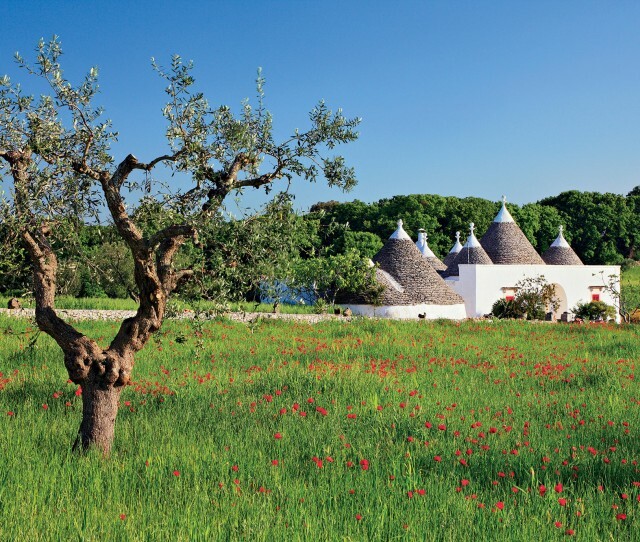 The new “A Week in…Puglia” itinerary is limited to an average of just 24 guests per departure, and it is Tauck’s first-ever tour of the region comprising the “heel” of the Italian “boot,” an area renowned for its unique architectural styles, culinary traditions and archeological wonders. Tauck’s eight-day itinerary (from $3,990 per person, double occupancy, plus airfare) begins in seaside Savelletri di Fasano with a four-night stay at a traditional “masseria,” a fortified country farmhouse converted into a five-star hotel. While based in Savelletri di Fasano, Tauck guests will sample local vintages at an area winery and take part in a hands-on cooking lesson to discover other Apulian culinary traditions. Guests will also visit the Paleolithic-era cave dwellings at Matera (in the neighboring Region of Basilicata) and 13th-century Castel del Monte in Andria (both UNESCO World Heritage Sites) and learn about Puglia’s traditional limestone “trulli” houses (in Alberobello). Guests will next enjoy a tour of the centuries-old cave village of Lama d’Antico, and a tasting of locally produced organic olive oils, while en route to the city of Lecce. During a two-night stay there, guests will visit the studios of a Lecce-born sandstone sculptor and a local papier-mâché artist, whose detailed figures depict 18th-century life. A chance to explore the whitewashed village of Ostuni precedes a final night back in Savelletri di Fasano, where guests will enjoy a farewell dinner and overnight accommodations at the Borgo Egnazia resort, a member of the prestigious Leading Hotels of the World collection. “A Week in…Puglia” begins and ends in Bari (in photo), with departures operating from March through June and in September and October. Meals tempting with bounty of the sea and land, and stays at breathtaking masserias (farmhouses), one nestled among antique olive trees and Mediterranean vistas, one steeped in history and cultural charm in the heart of Lecce, aptly named the “Florence of the South,” and one Mediterranean stunner in the whitewashed, incredibly dazzling city of Ostuni. Shhhh…. You may want to book this trip to Puglia, Italy now before this secret gem is revealed to the world! Small groups only, averaging 24 Tauck guests! A report on the “CNN Style” website titled “10 great towns, villages and neighborhoods for architecture buffs” features a visit to one of Puglia’s leading tourist attractions, the trulli of Alberobello. The report also features the ancient city of Matera, which is situated near the Pugliese town of Altamura in the neighboring Region of Basilicata. 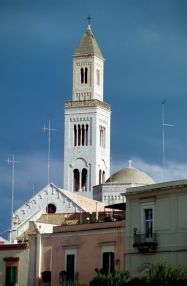 Puglia’s tourism industry and more specifically one of the region’s major cultural attractions stand to benefit from a major new restructuring of the way Italy’s Ministry of Cultural Heritage and Activities and Tourism (Ministero dei Beni e delle Attività Culturali e del Turismo, or MIBACT) oversees the management of the country’s major museums and other cultural heritage sites. The new plan streamlines management of cultural, historic and tourism-related sites, eliminates what is called the “traffic jam” caused by bureaucracy and fosters new public-private partnerships intended to improve operations and enrich the visitor experience. 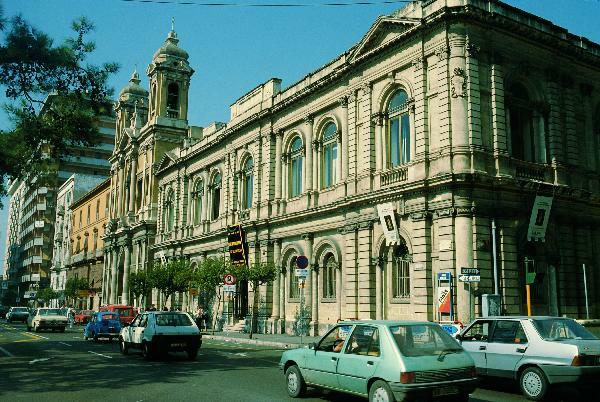 Included in the list of museums that qualify is the National Archaeological Museum of Taranto (in photo), which was founded in 1887 and today is one of the most important museums in Puglia. Its famed collections include artifacts from the ancient Greeks and Romans as well as other cultures that have significantly influenced the history of Puglia. Rome, 30 August 2014 ‒ The reorganization of the Ministry of Cultural Heritage and Activities and Tourism (MIBACT) originates, as is known, by the policies of the spending review undertaken recently by the Decree-Law n. 66, 2014, converted into Law n. 89 According to the 2014 cuts in 2012-2013, in fact, each Ministry was required to adopt a new regulation for the organization that had transposed the reductions in staffing plan. The MIBACT fulfill, finally, that obligation and redraws itself in a highly innovative, in line with the measures already adopted by the dl n. 83, 2014, converted into Law n. 106 of 2014 (so-called decree ArtBonus). 6) the delay of the Ministry in innovation policies and training. The reform was first built to solve these six “nodes” and can thus be described along six lines of action: 1) the full integration of culture and tourism; 2) the simplification of the administration device; 3) the modernization of the central structure; 4) the development of Italian museums; 5) the development of contemporary arts; 6) the revival of policies of innovation, training and development of staff MIBACT. Overall, the reorganization plans, as determined by dPCM January 22, 2013 on organic plants of the Ministries, the cut of 37 managers (6 grade I, 31 grade II). 3) the Regional Directorates, transformed into offices of administrative coordination, have specific expertise in the field of tourism, strengthening the interaction with regional and local authorities, as well as the promotion of cultural activities. In order to solve the real “traffic jam” bureaucracy that has been created over the years due to the multiplication of lines of command and frequent conflicts between regional directorates and Superintendents, the administration device has been redesigned, keeping, as required by the hypothesis reform of the central government, the regional level as the optimal scope of reference. 5) the collective decision-making in the area is strengthened, as the regional coordinating committee, chaired by the regional secretary and composed of the superintendents, becomes the place where decisions are made once adopted by the regional directorate, such as the declaration and verification of cultural interest. 4) recognize the importance of international institutions of excellence MIBACT and strengthen policies for cultural cooperation abroad. A sore point for the administration of cultural heritage in Italy has always been the under-valuation of the museums: no effective autonomy, they are all, except for sporadic cases and not tied to a single plan, the joints of the superintendents and thus free of managerial qualifications . The reform aims to radically change this, while ensuring the maintenance of museums bond with the land and with the Superintendent and subject to the priority needs of protection and unity of the cultural heritage of the nation. Archaeological museums and archaeological areas, for example, with the exception of the two Superintendents special for Rome and Pompeii, are the joints of the regional museum centers, but also functionally dependent by the Directorate General Archaeology, which defines how the collaboration with the Superintendence archeology also for the purposes of the activities of shelter, storage, cataloging and restoration of artifacts. 5) are identified museums and places of culture whose management may be entrusted to private parties under dell’artt. 115 of the Code of Cultural Heritage and Landscape. To recognize the full dignity and contemporary art and architecture to the redevelopment of urban peripheries There is a special general direction. The Directorate-General Art and architecture and contemporary urban peripheries’ promotes quality contemporary art and architecture and is directly involved in the shaping of public works, also providing guidance for their design. The management also promotes the regeneration and recovery of urban peripheries. 5) strengthen measures of openness and transparency, so as to ensure the publication on the website of the Ministry of measures taken by the superintendents. 9) the Reggia di Caserta. 20), the Palazzo Reale in Genoa. Despite the best efforts of Puglia’s tourism promoters in the public and private sectors to foster a sustainable and responsible product, the region’s image can be battered by one negative report about one of its major summer resorts. “Drunkenness and vulgarity of holidaymakers sees Italy’s Gallipoli resort labeled ‘the capital of trashy tourism’…As the summer holidays draw to a close, Italy is working itself into a lather over a season of tourists behaving badly.” Read the complete article here. It shows us that there’s so much work still to be done. You are currently browsing the Puglia Connection Blog blog archives for September, 2014.